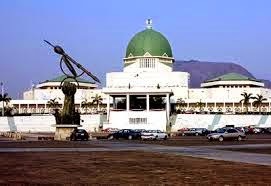 The Senate at the weekend reacted to a Supreme Court order asking the National Assembly to maintain the status quo ante on the amendment to the 1999 Constitution, saying it did not possess the power to stop them from performing its legislative duties. According to the Chairman, Senate Committee on Information and Public Affairs, Senator Eyinnaya Abaribe, each of the three organs of government performs distinct functions and hence, one has no right to interfere in the duties of the other. The federal government had dragged the National Assembly to court following President Goodluck Jonathan’s decision to veto amendment to the 1999 Constitution by the National Assembly. The president said the bill whittled down presidential powers. He also accused the National Assembly of failure to produce the evidence that it secured the required four-fifths majority before amending Section 9 of the Constitution. The parliament in its avowed resolve to override the president’s veto, submitted the bill for gazette last week. But in an interview with journalists in Abuja on Sunday, Abaribe said the Supreme Court was wrong by issuing an order stopping them from performing their legislative functions. “The Supreme Court is wrong. The law does not allow one arm of the government to stop another arm of government from performing its duties. “The Supreme Court cannot stop us from legislating and if they say that the Supreme Court is stopping us from making laws, it is misleading and it amounts to misreading the powers of the Supreme Court,” he said.